Holding a candy bar fundraiser is a great way to raise money for your school or organization. After all, who doesn't love candy bars? Candy bars are something that almost everyone enjoys eating. They are inexpensive and an easy way to raise money for your group. They can be a perfect fundraiser since not much work is required other than going out and selling the bars. Once you have set a goal for your candy bar fundraiser, getting started is easy. First decide what type of candy bars your group wants to sell. You will also need need to select a person to oversee the fundraiser. Be sure pick an individual who is responsible and reliable. This person will need to be organized as well. The chair person will need to order the candy, collect the money and ensure the final deadline is met. Next, your group will need to promote the candy sale. Signs can be printed and distributed around school and in your local community. You may even want to place an ad in the local newspaper. Be sure that the various clubs and groups at your school or organization are aware of the fundraiser as well. They may be helpful in selling the candy and promoting the fundraiser. Once you have made the candy sale known, it is time to start selling your product! 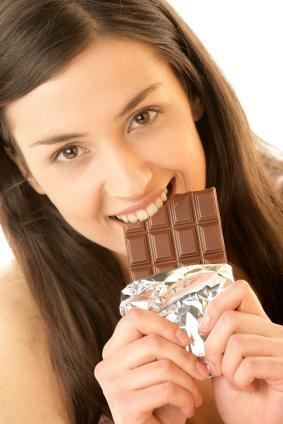 Hershey's is well-known for its candy and has a great program that allows groups to keep a big profit from each sale. The company has several options to choose from such as the $2 Candy Assortment. This option comes in a 30-count carrier and includes 8 Reese's Peanut Butter Cups, 8 Hershey's Milk Chocolate with Almonds, 8 Kit Kats and 6 Twizzlers. Hershey's even offers an incentive to each seller: a free 5 pound milk chocolate bar! Straight Packs are a popular choice since you can mix and match the flavors you want to sell. You can pick from Creamy Caramel, Roasted Almond, Crispy Rice, Tasty Truffle and Mint Chocolate. America's Variety comes in a 52 piece variety pack containing 14 Creamy Caramel bars, 12 Roasted Almond bars, 12 Crispy Rice bars, 8 Tasty Truffle bars and 6 Mint Chocolate bars. United We Stand comes with 45 bars in the following varieties: 14 Creamy Caramel bars, 11 Roasted Almond bars, 11 Crispy Rice bars and 9 Tasty Truffle bars. Once you decide on what package you want to sell, you can place your order. This can be done by calling 866-874-8383 or online. Be sure to identify who you are selling the candy for. If possible, wear a shirt of jacket with your school or group's logo. Don't go alone when selling. Bring along a friend or family member. If going door to door, don't enter a home of someone you do not know. Stand outside the door for safety. Do not carry large amounts of money with you. Only carry a minimal amount of cash at a time. Always be friendly and polite and say thank you when someone buys a candy bar from you.